We are proud to offer some of the lowest prices on fantastic RVs, including our Forest River RV Cherokee Wolf Pack RV For Sale in Texas. These units come with stylish exteriors, plus spacious and clean interiors that you will love. The new Cherokee Wolf Pack toy haulers are always bringing you cutting edge design and function, and this year is no exception. You will enjoy all of the features and amenities you're looking for when in comes to a toy hauler. The wide 102" body, external LED loading and scare lights, interior LED lights, and seamless countertop only add to the quality that has gone into each model. The best part is it's affordable price tag and superb construction. If this sounds like the kind of RV you are looking for, you can check out our complete inventory in the listing below. Or, if you want to ask any questions about these amazing units, you can contact us for all of the details. 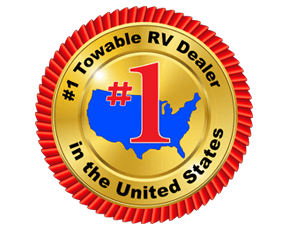 We are dedicated to making sure you get the absolute best service possible and find the perfect RV for you! Come on by and let us help get you into the Cherokee Wolf Pack toy hauler today!